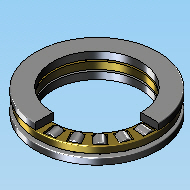 Thrust bearings are used for axial (parallel to the shaft) loading only. 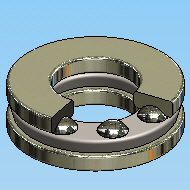 Roller thrust bearings have higher load carrying capacities then equally sized ball thrust bearings. Higher speed applications require oil lubrication.